Hard hitting, inspiring, intelligent, honest, and direct: these are some of the words used to describe the style and approach of Emmy award winning broadcaster Ed Gordon. Known for his stellar interaction with newsmakers from the worlds of politics, entertainment, and sports. 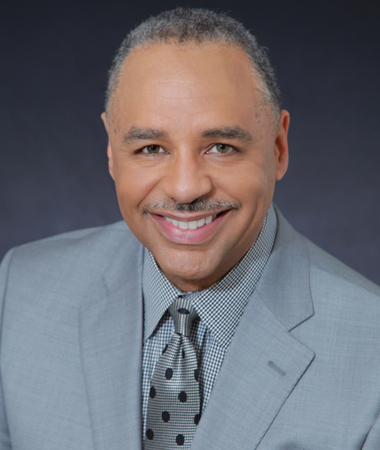 Gordon is host and executive producer of Ed Gordon, an hour-long quarterly news magazine on Bounce TV. The programs have featured; an emotional interview with The Mothers of the Movement, a group of women whose children had been killed by senseless violence anda look at the movie, The Birth of a Nation and the controversy surrounding it’s star and director Nate Parker. Other highlights include a profile of controversial Congresswoman Maxine Waters, an exclusive interviews with comedian Steve Harvey, R&B singer Maxwell and the cast of the mega-movie Girls Trip. Gordon hosted and executive produced the nationally syndicated one-on-one program Conversations with Ed Gordon. The signature program allows Gordon to bring newsmakers and celebrities up-close and personal to viewers. Over the years guests have included: Oprah Winfrey, Denzel Washington, Kevin Hart, and Janet Jackson among many others. Gordon continues to be on the forefront of news. He conducted one-on-one interviews with President Barack Obama during his historic presidency. Gordon also anchored BET’s coverage of the important 2012 Presidential election, Obama’s second inauguration, Nelson Mandela’s funeral from South Africa, and the 50th Anniversary of the historic March on Washington.